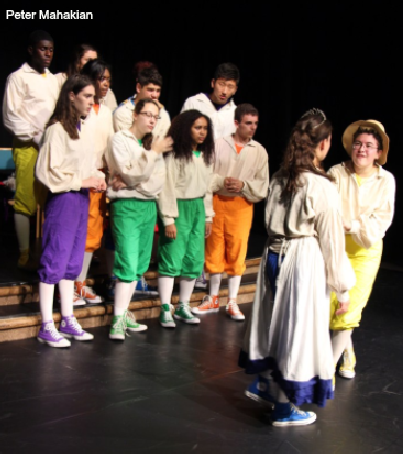 Hopkins drama students perform Shakespeare in a Shoestring: Cymbeline at Hopkins before heading to Scotland. Imaginative. Clever. Complicated. These words from the Fringe Review described Hopkins Drama Association’s production of Shakespeare on a Shoestring: Cymbeline! The annual Fringe Festival featured thousands of performers, over three thousand shows, and, this year, sixteen Hopkins students who enjoyed participating in the festival during their ten day trip in Edinburgh, Scotland. Drew Mindell ’18 expressed his love for this community saying that, “Performing abroad was amazing. One of the best experiences was simply the way in which we were regarded by other actors.